This semester, we have learned a new way of doing morning exercises. That is the dancing of Gangnam Style. 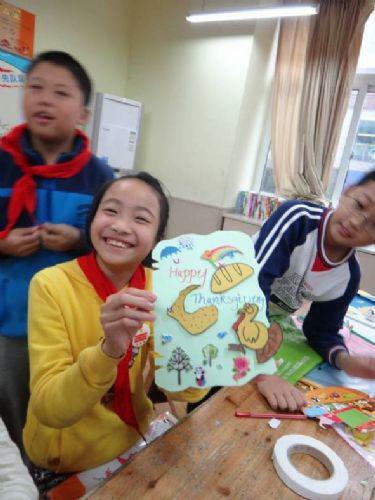 The children make their own Thanksgiving cards with the help of their English teachers in the class . The children of Grade 6 are making hot pot in December. Look, how happy they are!